After a thorough study and research, the Department of National Defense (DND) is most likely to buy the Swedish-made Gripenmulti-role supersonic jet fighter for the Philippine Air Force (PAF). Defense Secretary Delfin Lorenzana made this disclosure in an exclusive interview with the Philippine News Agency (PNA) on the sidelines of the book launching of former President Fidel V. Ramos at the Manila Hotel on Sunday. Lorenzana said aside from being cheaper and less expensive in maintenance cost, the Gripen has been proven to be an excellent supersonic fighter aircraft with a top speed of Mach 2 or 1,236 kilometers per hour, or twice the speed of sound. 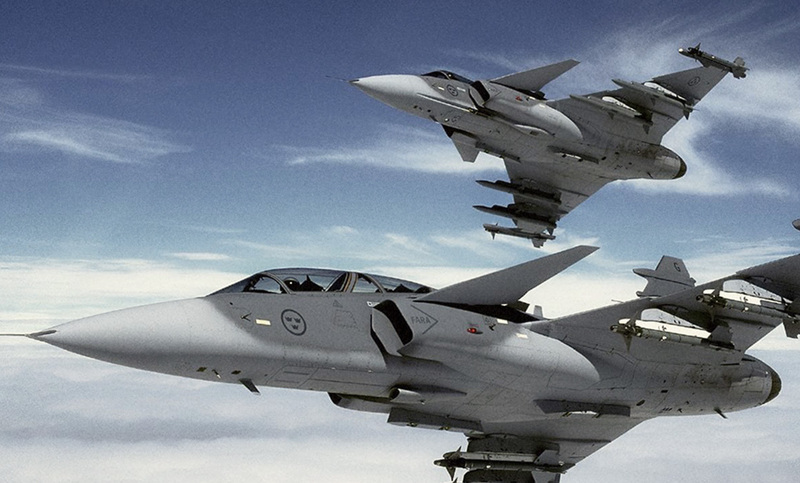 The Gripen has a delta wing and canard configuration and is powered by the Volvo RM12. It is being used by various countries in Europe and the Middle East. The PAF has been scouting for over a decade of what jetfighter aircraft it would buy to replace the US-made F5A/B jet interceptors that retired in 2005 due to old age and lack of spare parts. Since the F-5s were pulled from service, the Air Force tried to acquire advanced jetfighters such as the supersonic F-16 from the United States, but no progress was made. Lorenzana said the United States government offered anew to sell F-16 fighter jets to the Philippines. The offer, Lorenzana added, was made by US Defense Secretary James Mattis when the DND secretary visited Washington last month. Lorenzana confirmed the US offer, but said the F-16 supersonic jetfighter interceptors are too expensive. In comparison, the Gripen costs less and has the same capability with other multi-role jetfighters, including the F-16. Since F-5s were put out of service, the PAF has no multi-role jetfighters in its arsenal, although it had bought from South Korea a dozen of F-50 jets but the planes’ capability is limited compared with the Gripen, F-16 and similar aircraft. The acquisition of multi-role jetfighters, Lorenzana said, is badly needed to protect the country’s airspace.